FCCLA- Family, Career and Community Leaders of America. ideas or opportunities, please let us know. Students are immersed in the unit of dating violence. at statistics and learning about healthy dating patterns. on Decision-Making and Overcoming Obstacles and Challenges. and the knowledge of their human virtues. 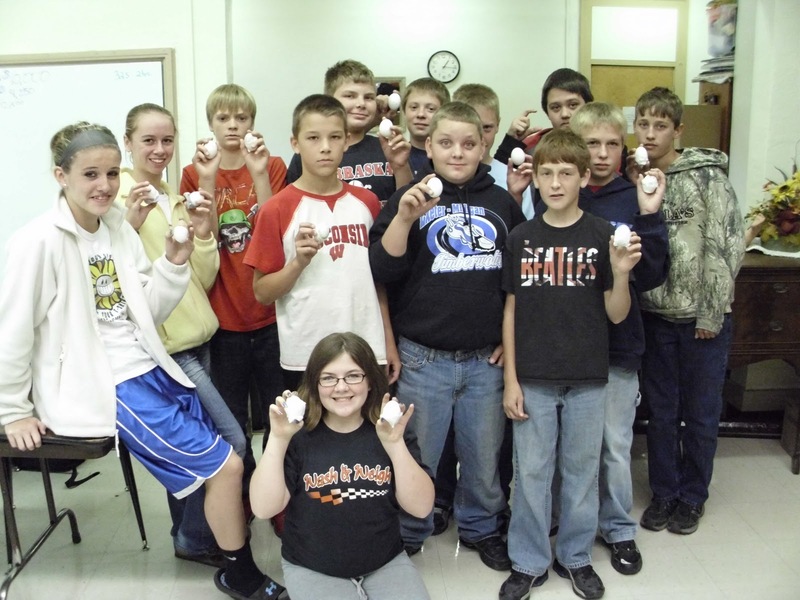 Students have just finished up on their "Egg Baby"
activities and characteristics of each of these age groups. Pictured is the 7th grade class with their "kids". Clift (back) and Hunter Worrell.